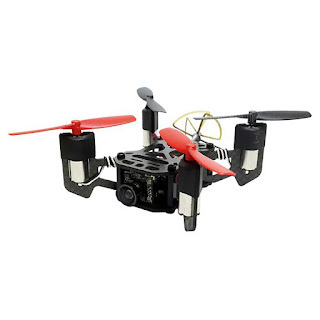 The 105mm quadcopter is based on F3 brushed flight controller, which offers you fascinating manual operation. It is flexible in supporting DSM2 and DSMX transmitter and allowing for refits. The moment you get the control of the drone, you'd be impressed by the excellent performance of its F3 brushed flight controller. The 105mm premium carbon fiber frame and the application of coreless motors contribute to the agility of the drone. While the integration of 500TVL FPV camera, 32-channel transmitter module, and 5.8G antenna facilitates the installation process for future use. The quadcopter is compatible with DSM2 / DSMX remote control. More importantly, the flight controller supports 2S power supply, which provides great refit possibility.